Amanda Folk was born and raised in a suburb of Detroit. She graduated from the University of Michigan Stephen M. Ross School of Business in 2007 where she earned a Bachelors in Business Administration with a concentration in Finance and Accounting. She has over 10 years of experience working in financial roles including Investment Banking and Corporate Finance, with extensive experience in budgeting and financial planning. 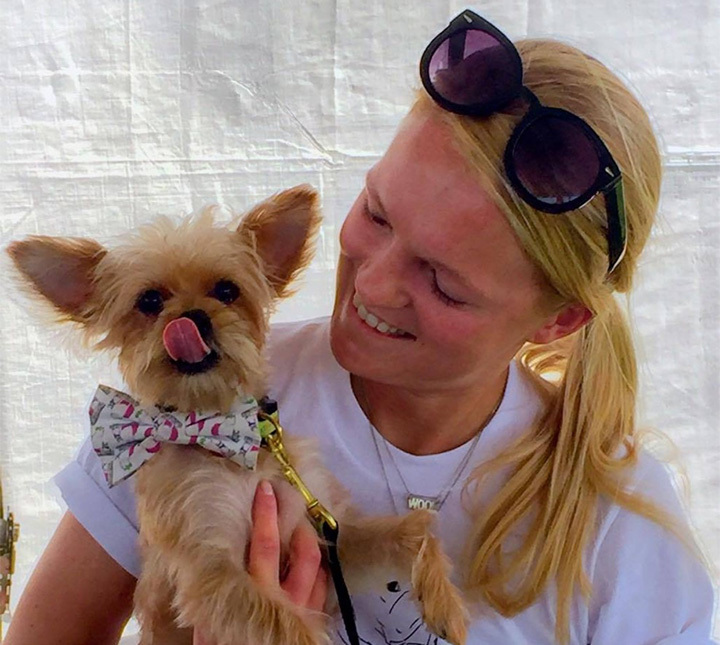 Amanda is an avid animal lover and lifelong dog-owner, who was unaware of the importance of animal adoption until her friendship with Brittany opened her eyes to the countless animals in need. Having been friends for over a decade, Brittany came to Amanda with the idea for Shelter Chic. Amanda was eager to get involved, and with her business acumen and make-it-happen attitude, she was the perfect partner to make Brittany's dream a shared reality.